Renovations to the Myer Horowitz Theatre. The creation of additional event and support space in the Students’ Union Building. $100,000 in grants for student group events. $100,000 in funding for featured programming. An expanded student ticket discount program for events on-campus and in the community. A commitment from the University of Alberta to invest in renovations to the main floor of SUB to create an accessible north entrance, to appropriately invest in necessary building infrastructure, and, to continue with the student management of common areas through the year 2050. What is this referendum trying to accomplish? Daria Nordell: The Student Events Initiative is all about bringing students back to campus and making the most out of the facility that we already have. The Myer Horowitz Theatre has been a huge part of student life for 50 years but we really want students to have the most control over what is programmed there, so by giving them the ability to have a say with the new renovations and with the discount program and one hundred thousand dollars in granting, it’s just going to facilitate more students being able to access the theatre in an easier and sustainable way. 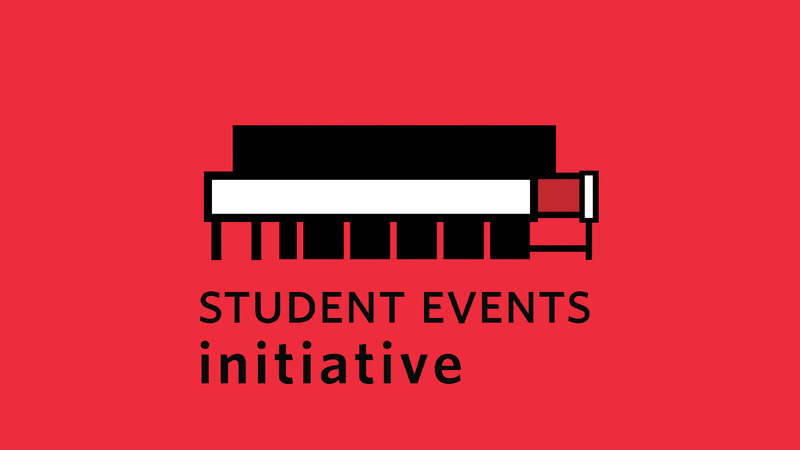 For those who don’t know, what is the Student Events Initiative? Nordell: It’s a two-part project. The first part is focusing on the renovations of the Myer Horowitz theatre. The theatre hasn’t been touched in a really long time and we are looking to upgrade seats, sound, tech — all of the things that are inside and outside the theatre. And then the second part is the granting and affordability aspect; the $100,000 grant for students to put on shows, and there is also going to be $100,000 in programming there that the Students’ Union is going to control and that students can control. And the student discount option; so for tickets to shows that are in the theatre, we want them to be as affordable as possible. So, all these things come together to create a new way of interacting with the Myer Horowitz and events on campus. How much will students be paying if this referendum passes and how was that cost determined? Nordell: The fee is $16.50 per semester starting in 2020. So, before then it is only half that because the theatre will not be renovated and we don’t want to make people pay for something that they can’t yet access. The way that we got to $16.50 is by looking at all of the costs, both the building and granting program costs, and $16.50 is to break even. So, we pay off the things that we need to pay off to get the building built and we are not gambling with students money by running short. We also don’t want to cut into anyone’s budget by charging too much. So basically, it breaks us almost exactly even which we think is probably the best possible option for all students. Why should students care about this initiative? Nordell: I think a lot of people see the Myer Horowitz as being a place that “if only it was a little bit bigger” or “if only it was able to host this type of event.” We want to make these “if onlies” a reality. Especially for students that are involved in clubs, student groups and in the bigger community, having a new space that is supported by the Students’ Union and the university to bring in speakers and live acts to make the university experience worthwhile, we want to make sure that as many of these things can happen as possible. All of this is about letting students have choice and have say in an awesome venue that already exists within campus.